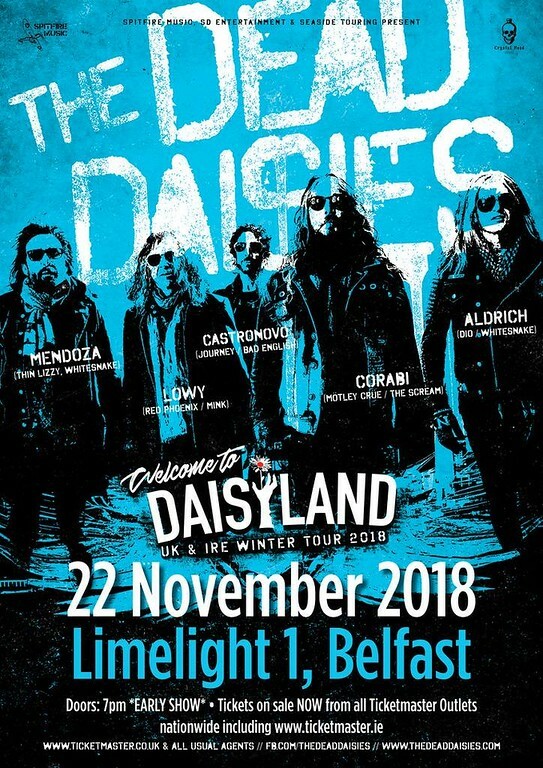 Great news today from The Dead Daisies as they announce a return to Belfast on Thursday 22nd November to play Limelight 1 as part of the “Welcome to Daisyland” Tour. More details in the press release below. The band is thrilled to announce they’re returning to Europe to play 15 shows across the continent and in addition, due to the Daisies Clann in Ireland requesting a show, we've added a date in Belfast, Northern Ireland. The Winter Tour will ﬁnish the 2018 touring cycle with a bang playing two headline shows the weekend before Christmas in Germany with the grand ﬁnale in Frankfurt, where the band performed a celebrated, multi-night stand headlining the Agora Stage at the famed Musikmesse in 2016. Yes we know we said the shows in July were supposed to be the ﬁnal German dates for 2018 but the response from the Daisies family made it clear that it was a great place to bring the year to a thrilling conclusion! 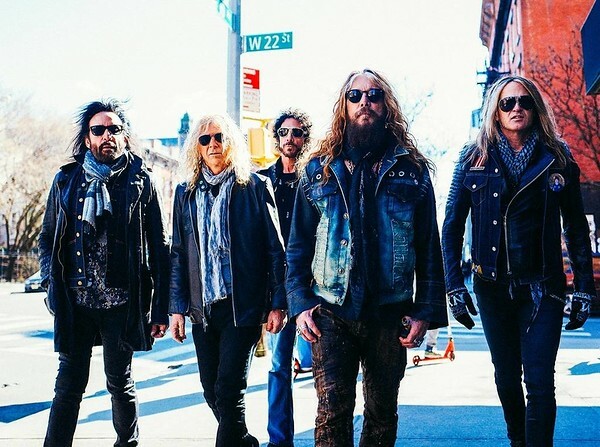 Every night will kick oﬀ with The Dead Daisies performing an intimate “Daisyland” Acoustic Set prior to doors opening for the ﬁrst 50 in the queue. As if that was not enough, The Daisies will perform a special 120 minute set every night - so make sure you kick oﬀ your winter boots and come early for a huge night of ROCK! In addition to the above, the Daisies are also conﬁrmed to play a full headline tour through Academy’s as well as headline a string of festivals in the UK. Quite a momentous year comes to an end for The Dead Daisies - make sure you don’t miss them! “We’re extremely excited to get back to our friends and fans in Europe and the U.K. to close out an AMAZING year, and our 2018 Burn It Down Tour! We’re also excited about ﬁnally getting back to Belfast Northern Ireland and Frankfurt Germany to feel that good old fashioned rock and roll enthusiasm once again!!!! We can’t thank you all enough for the love and support you’ve given us, so what better way to end the year, than being back again with you playing music!!!! See you in November….”, says singer John Corabi.